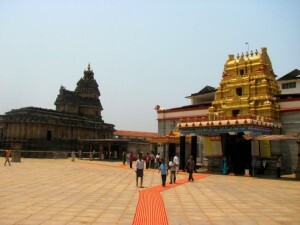 Sringeri, famous for a number of historic temples, is situated in the district of Chikkamagaluru in the state of Karnataka. This hill town got its name from Rishyashringa-giri, which is a nearby hill. Adi Shankara, who was the exponent of Advaita Vedanta Philosophy established the first matha (monastery in Hinduism) - Sringeri Sharada Peeta- in this historical town which is situated on the banks of the river Tunga. Some of the temples in Sringeri dates back to 1150 AD when it was constructed and the architecture within the temples and other historical sites are timeless. This is one of the major reasons why this town attracts a number of tourists from within India and from all over the world. The Vidyashankara temple in Sringeri near the Sharada Peetham is one of the highlights of this place. 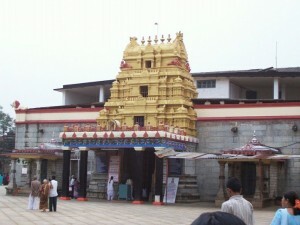 Sringeri is the site of one of the original Advaitha mathas established by Adi Shankara himself.